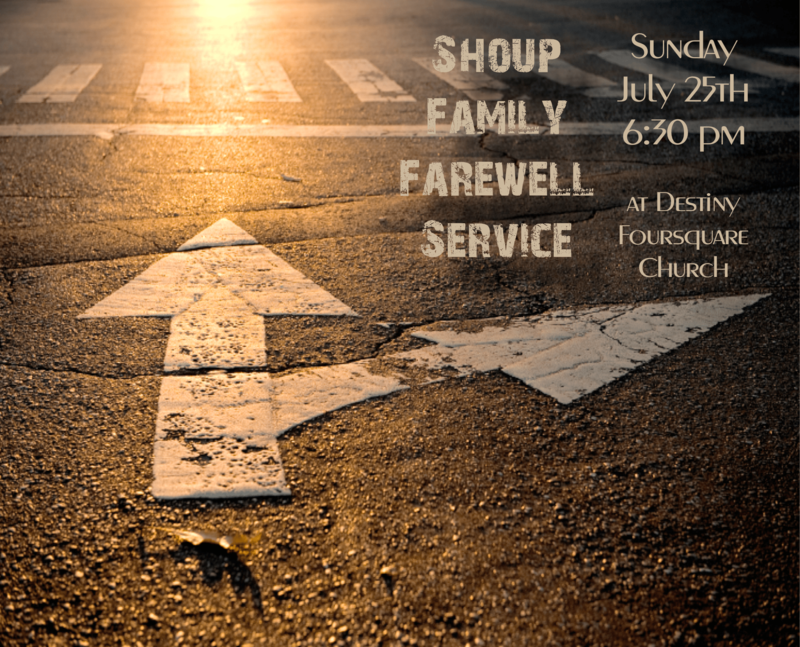 I wanted to invite my friends, family, and peers to the farewell service that Destiny Foursquare Church is preparing for us at the end of the month. It starts at 6:30 PM on Sunday, July 25th. From what I understand, there will be cake and punch and the sharing of memories: the honoring of Deanna and the kids and the roasting of Shawn (grin). We would love to see you there! So many of you at Destiny Foursquare and the community-at-large have meant so much to us over the past nine years.